Planning a gig, but on a really tight budget? No need to panic, since you won’t be the first and you certainly won’t be the last to do it. Fortunately, there are plenty of things you can do to save money without having it affect the end result. Here are five different steps you should take to end up with a gig everyone will enjoy! YouTube is “the” video sharing website, the one where anyone who want to reach great audiences with their videos, publish and share. The Google platform is a fantastic opportunity for anyone, including singers and groups, even if already well known or not. This is the definitive Top 100 chart of the most popular cover songs on Youtube. In the terminology in the popular music (mostly pop and rock), a cover is the reinterpretation of a piece of music, different from others interpreted and published previously, made by someone who is not the original interpreter. Nowadays the term cover is used to indicate the reinterpretation of relatively recent songs and is often used to intend a singer or an entire band who is engaged in the reinterpretation itself. For other musical genres (such as classical music) performing the same composition by different interpreters is the rule, so there is no corresponding term. For the jazz genre (and only for it) the term cover is used to define the theme of a well-known song and is used by musicians as a basis for variations and improvisations. Good cover of Attention by Charlie Puth, nice voice and good interpretation. Choosing the best acoustic covers on Youtube is not easy as there are lots of songs and even more singers. 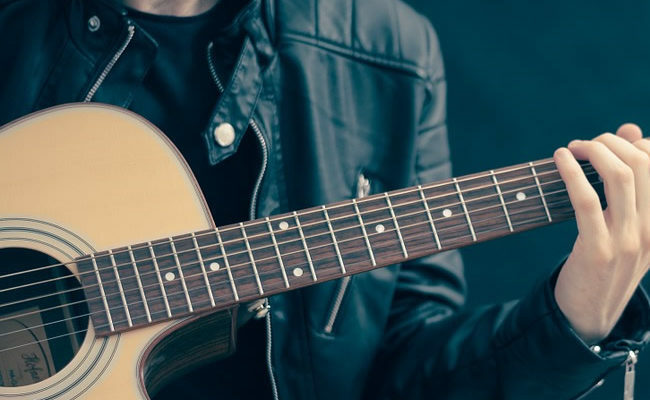 In this chart we have chosen 10 of the best Youtube acoustic covers of popular songs, ideal for those who already like the originals and would like to hear some new – but always appealing – version. Here is our acoustic cover songs list. Great voice the one of Jasmine Thompson. Is not that easy to sing a song live Everybody Hurts being able to keep the same feeling and emotions of the original. Jasmine did it! Some of the best YouTube covers are embarrassing, others are impressive and memorable. But a cover is not only how well you perform the music; it’s mainly how well you present it. Here are the best Youtube cover singers that have a bit of everything. James Dalby version of “Ignition (Remix)” is an enjoyable attempt. Thanks to his acoustic guitar, James gave the song some British flavour. This song is the one that gave the singer great success, consecrating him like one of the best Youtube cover artists. Covered by Run-D.M.C., although those songs sung in different genres, both of the songs are quite similar. This cover made Run-D.M.C. became popular and gave the rap group a significant exposure. Some songs are “out of the time”: even if they have been written and produced for the first time some decades ago, still today they are actual. This also means they are reinterpreted by emerging artists who use the name of the song to try to get well known. At the same time, also well-known artists reinterpret old songs to try to reach a wider broadcast. The best of that is that sometimes revisited versions are better than original ones: here are our personal top 5. The Tsoul version of “Take Me To The River” is compelling, warm and spectacular. According to the singer, it’s “a song that combines teenage lust with baptism.” The way they perform it is simply amazing.